Ferrari facotory original Engineering Press Kit. The booklet measures approximately 12 x 8.5 inches. 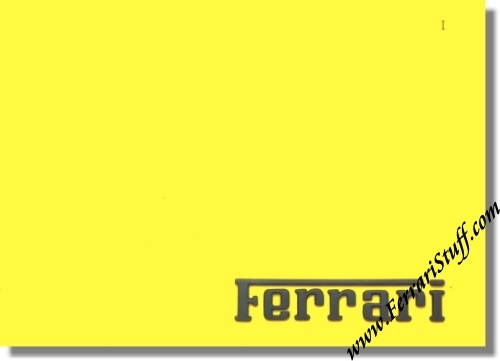 Ferrari Print Number 445/86 0.3M/9/86, issued in 1986, printed in September 1986 by Arbe, Italy. Total edition: 300 pcs (! ).